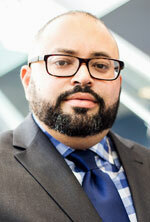 Feodis Shipp III was named director of the University of Michigan Detroit Center in 2018 after serving as associate director since 2010. He hopes to develop a strong working relationship with the community. Born and raised in Detroit, Shipp is excited by the city’s rebirth and believes the university can be a significant contributor to that experience. He earned his B.A. in history from U-M and his M.A. in educational leadership from Eastern Michigan University. Q: The UM Detroit center opened more than 12 years ago. What are your top goals for the next dozen years? Shipp: The university is in the process of doing an extensive evaluation of its engagement practices. One of the results of this evaluation is that the university has decided to expand its footprint in the city of Detroit by purchasing the Rackham Memorial Education Building next door to the DIA. The acquisition of the building will allow the university to have a truly dynamic presence in the city, by showcasing university life and culture to the residents in southeastern Michigan. Over the next two years, the university will do an intense examination of what would be the best type of programing that would help it accomplish this goal. The center is very active in engaging residents with a wide range of programing and activities, which include everything from panel discussions and lectures; to hosting watch parties for the Thanksgiving Day Parade and Noel Night. Q: As a native Detroiter, what do you see as some of the major challenges in the community that U-M can help address? Shipp: The major challenge is overcoming the perception that the university is not open and welcoming to Detroiters, which is not true; if anything the university wants nothing more but to improve the quality of life for Detroiters. The programs being offered lend themselves to enriching lives by creating synergy between the neighborhoods and the developing Midtown area through community academic partnerships. Q: What has been the community’s response to the center’s presence in the city? Shipp: The community has had a strong positive response to the center’s presence. Not only have residents attended events hosted by the University of Michigan, but many groups have taken advantage of the meeting space — using the center as gathering place to discuss and address the many challenges and opportunities facing their communities. 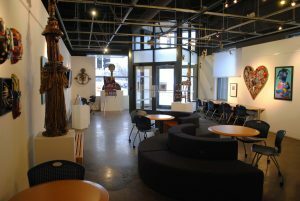 Detroit Center Monts Hall gallery and seating area with door to street in background. Q: What are you most excited about that the center is doing in 2019? Shipp: The most exciting thing we see here at the center is the opportunity to develop relationships with many of the city’s grassroots leaders and organizations in hopes of addressing the issues and concerns that people have across the city. And to assure Detroiters that the university is here to help and not just study. Heidi Ausgood is a native Detroiter and former reporter for Detroit’s public radio station WDET. She recently worked as an associate researcher for U-M’s Detroit Metropolitan Area Communities Study.